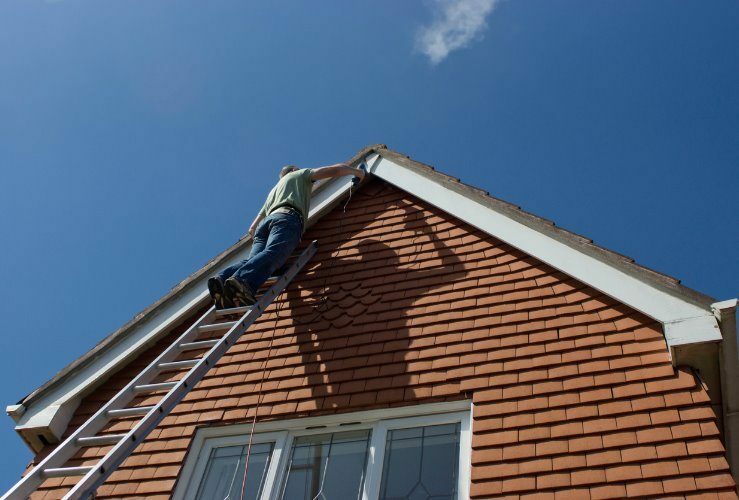 Most of us take our roofing for granted - until it gets damaged by strong winds or needs to be repaired or upgraded. But if you’re planning a major renovation of your property, rebuilding part of it, or are thinking about building your own home, then roof design deserves some serious thought. In particular, the chosen materials and style can have a big impact on building costs and ongoing maintenance, not to mention the overall aesthetic of the property. Here we look at some of the most common roofing designs. "Flat" roofs are never actually flat, but feature an almost imperceptible slope to facilitate rainwater run-off. If a roof were totally flat, water would pool and stagnate, placing undue stress on the roof structure, and creating mold, etc. Materials include rubber membranes, tar/asphalt and PVC. 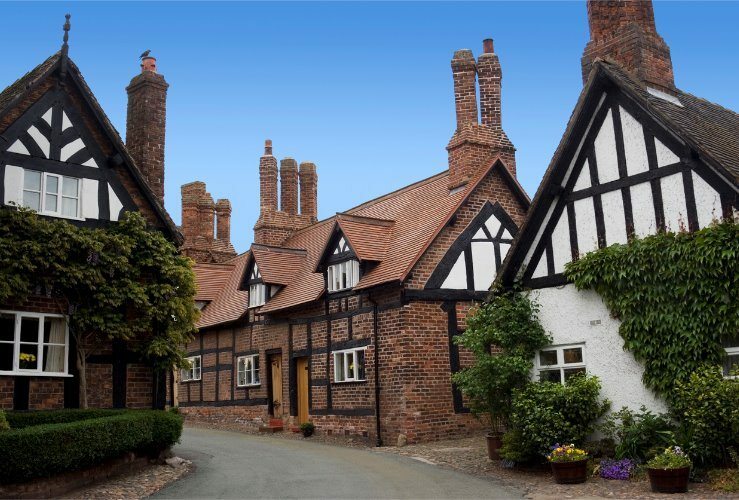 The word 'gable' refers to the triangular area created by the meeting of two pitched roofs. Much like a classic dog house, the gabled roof is the simplest of roof designs. Almost every roofing material can be used to build a gabled roof. One drawback is that they create overhangs - or eaves - which can be damaged in high winds. A hipped roof is generally a roof with four surfaces that join to the four walls of a property. They usually comprise two triangle shapes and two trapezoids. Compared to the gabled roof, whose ends have no shade, the hipped roof provides shade around all four walls. 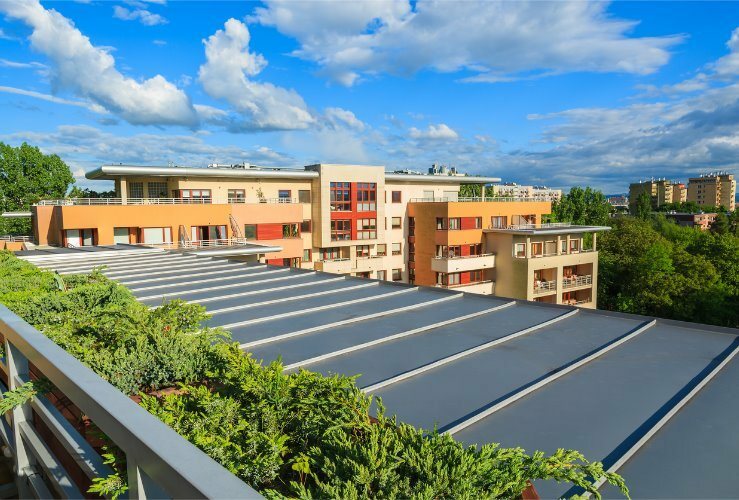 This design performs better in high winds, but connecting the four roof sections can pose construction challenges. The gablet solves the various problems with gabled and hipped roofs. It is essentially a gabled roof placed on top of a hipped roof. Access to the hipped portion is easier, while providing additional space (bedroom, attic, etc.) and light in the gabled portion. This style features a large gabled section and a clipped hipped section. It performs better in high winds. Mostly hipped roof with a narrow clipped hipped section around the edges, supported by four pillars or posts. Provides more cover from the elements around the edges. An inverted gable roof with a valley running through the centre, the butterfly roof is ideal for collecting rainwater. Not very space-efficient, and difficult to see if the roof is damaged or if water is pooling in the valley. Two (or more) gabled roof sections that intersect, usually at a perpendicular angle. Two hipped roof sections covering a T-shaped or L-shaped property. A gabled roof with a window that projects vertically. Often used in loft conversions, providing extra light and space. Gives the appearance of two merged gabled-roof structures, forming M shapes at the ends. A simple single surface tilted at an angle. Cheap and simple to construct. An asymmetrical gabled roof with one section extending further than the other. Distinctive and durable, often seen on garages and industrial structures. 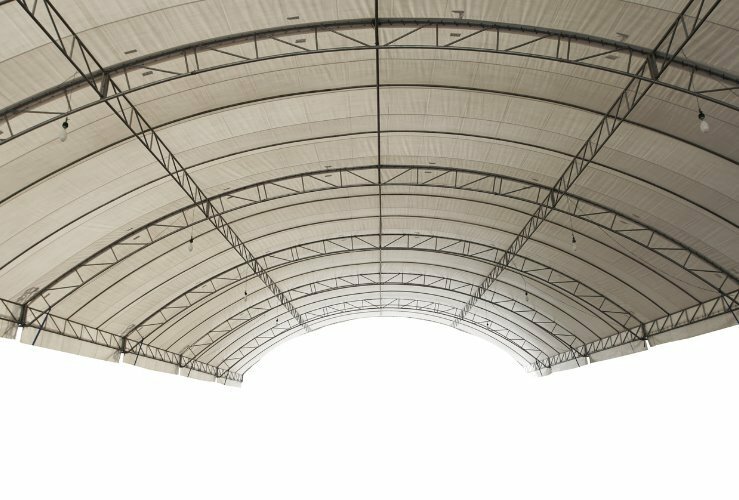 Flexible metal materials can be used to create this single curved section of roof. Stands up well to winds and looks rather unique. 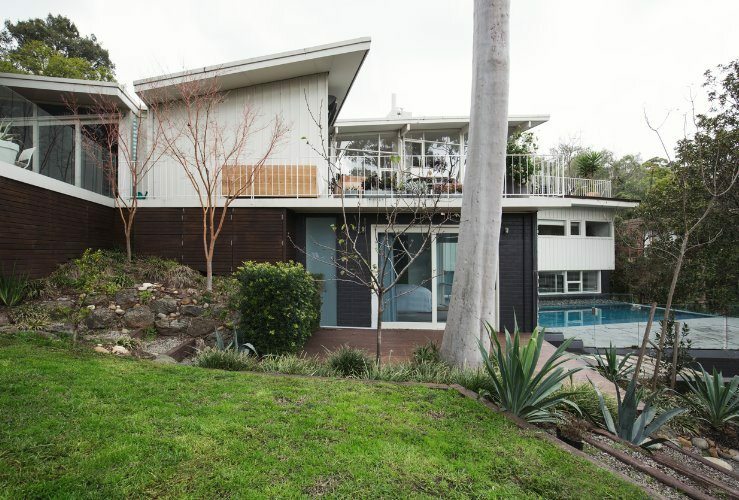 Two roofing areas: One large skillion with a smaller lean-to (very similar to a skillion). The same as a basic hip roof, but the walls are square, not rectangular. Can withstand high winds very well. Like a flat roof, but the walls extend past the roof, creating a walled edge. This significantly reduces the chances of someone falling over the side.